TriCarbon design allows for significant airflow. Three individual filter sets each containing a prefilter and carbon canister. 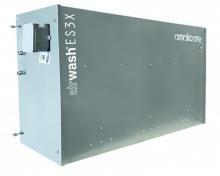 Amaircare AirWash ES3X HEPA air filtration system can stand alone effectively clean the air in a large area. The ES3X are used where you want more than power and effectiveness: you also want ease of installation. Simply suspend a unit from the ceiling and hardwire a switch (variable or toggle) at a convenient level. The unit has a wide realm of commercial applications such as but not limited to mechanical garages, body shops, first responder garages, vape/hookah lounges, etc. 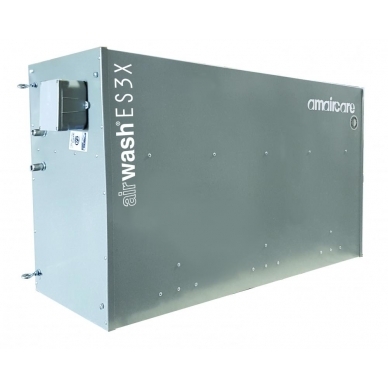 Three sets of filters capture large particulate and VOCs with the first stage foam prefilter and chemical/gas pollution are adsorbed by the 2nd stage Ultra carbon VOC filter. The configuration in this unit contains 3 filter sets each with a prefilter and an ULTRA Carbon Canister. No HEPA filters are in this configuration. Stage 3: 21 lb Carbon Canister** (3 - 7 lbs of carbon per a canister). Not used in the HEAVY VOC configuration. 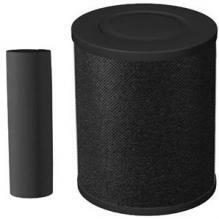 Focus on Heavy VOCs, gases, & Odors (Shown): Carbon Prefilter - 30 lb Carbon Canister. Qty of 3 sets per a unit. PLEASE NOTE: No HEPA in this configuration.